After attending Dartmouth College and the University of Colorado as an undergraduate, Mr. Studholme received his Law Degree from the University of Colorado. As a young lawyer with the Law Firm of Williams, Trine and Greenstein in Boulder, Colorado, he gained significant experience in Real Estate Law. In 1980, he began his own practice and expanded his focus to include Estate Planning, Probate and Elder Law. Mr. Studholme has served as past President of the American Cancer Society. Through his work with Hospice and the Alzheimer's Association, Mr. Studholme has established a thorough legal and practical knowledge of these important Estate Planning issues. He is also a member of the National Attorney Network for UBS Financial Services (formerly Paine Webber). In this capacity he advises Brokers and their clients on Estate Planning matters. Mr. Studholme is also available to perform lectures and seminars regarding Estate Planning matters. Mr. Studholme is a longtime supporter of local music and art. He served on the Board of the University of Colorado Artist's Series. 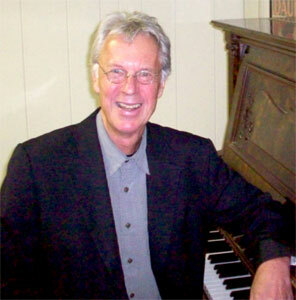 A gifted musician himself, he plays piano at local Boulder restaurants and on his office upright piano in his free time. He is also a Yoga practitioner and enjoys spending time in the outdoors.